I was lucky enough to hear Andrew Strauss speak about the lessons in leadership he has learnt as a cricket captain and then as Director of Cricket England. 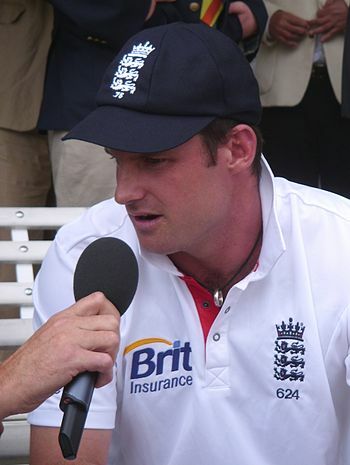 Andrew Strauss has led the England cricket team to win the ashes three times. Twice as Captain and once as the Director. Andrew Strauss’s lessons in leadership chimed enough with me to make notes. I think everyone could benefit from them. Here is my summary of those lessons in leadership, minus the cricketing examples. don’t let other people do the dirty work, if you are giving bad news then you need to look people in the eye when you do. Everyone has their own perspective, and they all take things differently. Bear this in mind when you have to tell someone that they have missed out on an opportunity, or that they aren’t performing as well as you’d like. The person that you think you are letting down gently might well be upset. The way you deal with that is to make them feel important. Offer explanations and suggestions for improvement. Sometimes though you just need to let them vent, and it is way better that they do this just with you than with others. delegate as much as you can so you can focus on what is really important. As you progress as a leader you become responsible for more and more. It is very easy to get focussed on delivering outcomes. When you are a leader you don’t deliver outcomes personally. You lead people. Those people deliver outcomes. Your job is to enable and inspire them to deliver more outcomes. You don’t do this by doing all the delivering yourself. So you delegate everything that it is reasonable to delegate to other people. What you do is focus on the important stuff. Mostly this will be dealing with things your team can’t. Whether offering coaching, support, advice, challenging mindsets and methods, or just dealing with the whiners. All of it is about smoothing away the friction that stops people from delivering outcomes. prepare as much as possible. We’ve all heard the mantra “preparation & planning prevent poor performance”. It is absolutely true. Nowhere does this matter more than when leading people. If you give feedback, whether well done or room for improvement, then you need to prepare your messages. If you have one to ones with staff (or your management) then try to anticipate your response to their agenda. If people can see that you have seen their perspective then they’ll think better of you. any decision now, confidently made and committed to delivery, is better than agonising. You don’t need to optimise decision-making. You just need to find a good enough solution and then make it work. There are literally too many options to choose from most of the time. So there you have four lessons in leadership that could help you be a better and more effective leader. It doesn’t really matter where you are leading, paid or unpaid, or even if you are in a recognised leadership role. We can all benefit from these four lessons in leadership. This entry was posted in themself, work and tagged Andrew Strauss, cricket, How-To, Leadership, Lessons by James. Bookmark the permalink. ← Previous Previous post: The Secret of Success or Snake Oil?